A vehicle is a big purchase, and it’s important to keep that purchase in tip-top shape for as long as possible! If you’re looking for ways to make your vehicle last, you’ve come to the right place. Check out these car maintenance tips to keep your wheels rolling as long as possible. Choose well – If you’re looking for a vehicle, make sure to to start with a reliable one! Ford Expedition and Chevrolet Suburban are some of the longest lasting SUVs on the market. If you’re looking for a long-lasting car, consider a Ford Taurus or Chevrolet Impala. If a truck is more your speed, a Chevrolet Silverado or Ford F-150 are likely to outlive their competition. Get on a schedule – Once you have a vehicle, keep up to date with regular maintenance. Oil changes, tire rotations, putting air in the tires, and regular tune ups are all important to help reduce the wear and tear on your car and address any issues that arise. Don’t wait to make repairs – If you do notice that your vehicle is having an issue, make sure to fix it as soon as you can! U Wrench It makes it easy to pull the auto parts you need to complete repairs for a fraction of the price of going to a expensive mechanic or dealership. Need to fix your vehicle? From cosmetic repairs to engine parts, you can likely find what you need at U Wrench It! Check out our auto part inventory today. Everyone knows the importance of recycling. However, reusing items is just as important to being environmentally friendly as recycling. And of course this also goes for used auto parts! 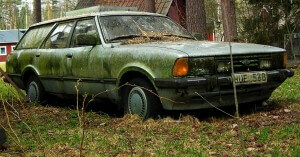 Most junk cars are full of useful parts, and it would be environmentally irresponsible to let them go to waste. That’s one of the many benefits of buying auto parts used. 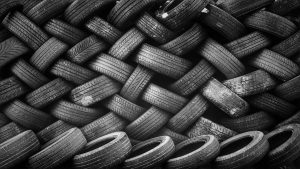 Of course, not every part of every car can be reused, and that is where automotive recycling comes in. According to the EPA, each year the United States recycles roughly 12 million vehicles, making automobiles the most recycled item in the entire country. Roughly 80% of an automobile by weight is recycled in the US. A whopping 27 million cars are recycled globally. Some of the parts recycled from these vehicles include metals (both ferrous and non-ferrous varieties), glass from windows, rubber from hoses and tires, car batteries, various electrical parts, carpets, and even fluids. Additionally, 14 million tons of steel are recycled from vehicles every year. This huge amount of steel is enough to make nearly 13 million new vehicles! In fact, each new car on the market today includes an average of 25% recycled steel in its body. 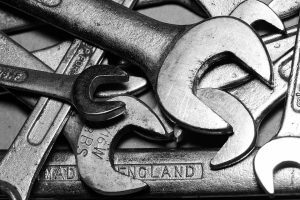 Whether you are looking for a replacement auto part or to sell your junk vehicle in Atlanta, U-Wrench-It is here to help. Call us about parts at (770) 448-6485 or contact us at (404) 805-0900 for more information about getting rid of your junk car today. The environment will thank you! You’re a DIYer and you’re having car troubles. You trace the issue back to a bad alternator. An easy fix as far as you’re concerned, so you head to your local parts store, get the part home, install it and find out the part is faulty. Then you repeat the process only to find you’ve gotten another bad alternator straight from the factory floor. And then it happens a third time! If you work on your own car, you’ve probably lived that story more than once. It’s a shame, but these days, the hardest part about fixing your car can actually be getting replacement parts that actually work! At U Wrench It in Atlanta, Georgia, we have a time-tested alternative to the cheaply made new parts from big box auto parts stores. Right off the bat, your wallet is the first beneficiary of buying used car parts. Depending on the part you need, you could save up to 50% by buying used. Used parts are also thoroughly checked and warrantied just like new parts. Used parts come straight from cars that have been on the road. 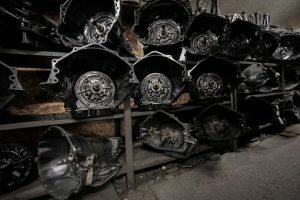 Whether the car or truck was wrecked or had a fatal mechanical issue, there are almost always salvageable parts that are in perfect shape. That means that when you recycle a part from another car, there’s no need to manufacture that part in a factory. This decreases the carbon footprint and pollution associated with making new car parts. There are some parts you’ll probably want to buy new. Breaks and rotors are a good example. However, things like transmissions, mirrors, tires and interior parts are perfectly good used. It all comes down to finding a reputable salvage yard or used parts dealer. In the Atlanta area, U-Wrench-It can guarantee you’ll be happy with your choice to go used. Give us a call to find your used car part today. Don’t Sell Your Junk Car to Just Anyone! So you’ve got a junker and you’re trying to get someone to take the old clunker off your hands. 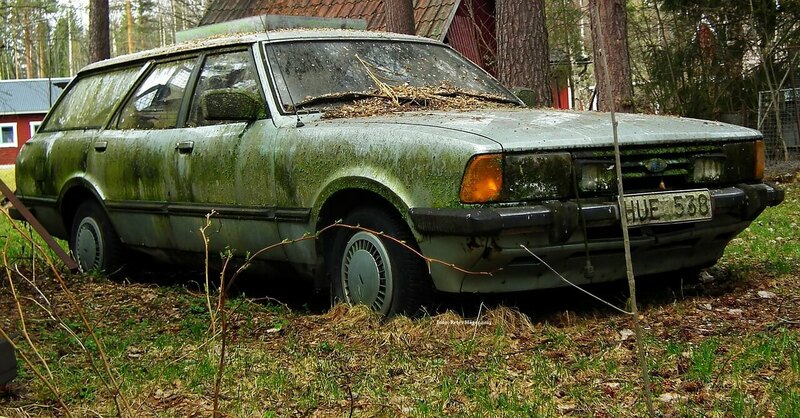 There are some things you need to know before you get rid of your junk car so you don’t get scammed. At U-Wrench-It in Norcross, GA, our customers are number one, so we thought it could be helpful if we gave you the run down on getting rid of your old lemon the right way. Just because she won’t start doesn’t mean you can’t still get a fair price. Be cautious when you try to get rid of your old car because there are a lot of scammers out there. Lowballers are one thing, but some of these folks will actually try to charge YOU for your car. Even an old rusted out junker is worth its weight in metal. So, tell those scammers to take a hike and always get cash up front! A legitimate salvage yard will be licensed by the state of Georgia. These guys should always be your first choice as they’ll do things by the book and give you fair market value for your old wreck. U-Wrench-It is fully certified and we’ll always give you a fair price. However, we don’t mind if you want to shop around either. In fact, we recommend it! We’re confident that we’ll give you the most for your junk car. To find out more, give us a call. Our staff is professional and courteous, and we’ll always do our best to give you the best deal in town. Are you ready to leave the old drive-through car wash behind and step up your game? Let’s face it, your car gets you where you need to go day in and day out. It deserves the best. At U Wrench It, we think it’s time to give your beloved vehicle a deep clean and detailing. But that doesn’t mean you have to empty your wallet doing it. 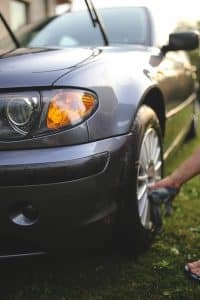 Here are some DIY tips for detailing your ride in Norcross, GA.
A professional detailing job can cost you anywhere from $150 to $300 bucks! That’s a lot of money you could save for a nice night out … especially when you pick up your date in a freshly detailed ride that you cleaned yourself. Clean out your ride – You’ll want to start by cleaning out all the trash and junk from your car. Then dust, vacuum, and get the dirt out. You’ll need a vacuum cleaner, simple foam carpet cleaner, scrub brush, and a microfiber cloth. Wipe down, vacuum, scrub and clean every inch of your interior. It makes all the difference! Washing and waxing – Grab a bucket and fill it with car wash soap and water. Using a scrub brush, start wiping down your exterior. Rinse it off with your hose and do it again. A second or third scrub can make a huge difference in the end. When you’re finished, dry all water off so you don’t get water marks. Use a clean, dry cloth and apply car wax on all the painted exterior of your car. Let the wax dry for 15 minutes and buff out until your car is shining like it’s just off the line. For more tips, check us out at U Wrench It. And make sure to hit us up for all your auto part needs in Norcross, GA.